Uncover the wonderful flavours of Burgundy on this seven night gastronomic cycling holiday. Long established as one of France's finest wine regions, the Cote d'Or is home to historic Beaune and famed Nuits-Saint-Georges. Here, culture and tradition thrive amid some of the world's most prestigious vineyards, which are now collectively recognised as an UNESCO World Heritage Site. To the north, past numerous mediaeval chateaux, lies Dijon with its rich blend of architecture and the magnificent palace of the Dukes of Burgundy. A short distance away you'll find the tranquil Canal de Bourgogne, meandering along the Ouche River valley up to the fortified C15 Chateauneuf-en-Auxois, which sits fairytale-like on a hilltop and is listed as one of France's most beautiful villages. Cycle along quiet lanes, vineyard tracks, tranquil waterside paths and smooth greenways, enjoying views of majestic vine-clad hills, fields of shimmering wheat and waterways where grey herons stalk fish. Each day discover opportunities to sample fine wines and visit esteemed producers before stopping for lunch in unspoilt villages set against a backdrop of swaying vines and ancient oak forest. In a region known for its epicurean finesse, you really will enjoy fine dining on this holiday. You'll savour dishes such as Oeufs en Meurette, Poulet de Bresse a la Creme, Perche aux Noix and of course exquisite cheeses like the pungent Epoisses de Bourgogne, all washed down with the region's incredible Pinot Noir and Chardonnay wines. You'll stay in historic hotels including an elegantly renovated farm with beautiful gardens, a lovingly restored winery and a marvellous C18 chateau with a pool and eight hectares of carefully tended grounds. Visit the renowned Hospices de Beaune or simply wander Beaune's medieval streets. Overnight at the Hotel le Cep with the choice of Beaune's restaurants for dinner (pay locally). 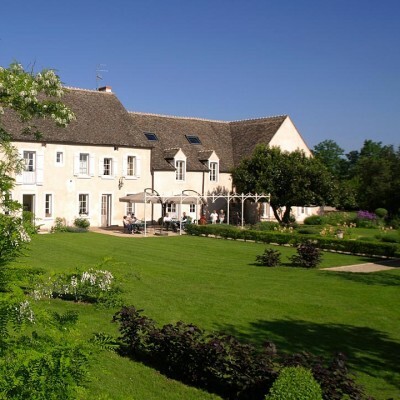 In the afternoon, we transfer you to the Hotel le Clos, a beautifully restored C18 farmhouse just outside the city. Relax and freshen up before your first gastronomic dinner. This morning, perhaps pay a visit to the lovely C18 chateau at Pommard before continuing past pretty Aloxe-Corton and Ladoix-Serrigny. You might like to take a short detour to visit Savigny-les- Beaune too, with its collection of vintage cars, motorbikes and planes, or to spend some time in the Parc de la Bouzaise in Beaune before lunch in the world-famous Nuits-Saint-Georges. 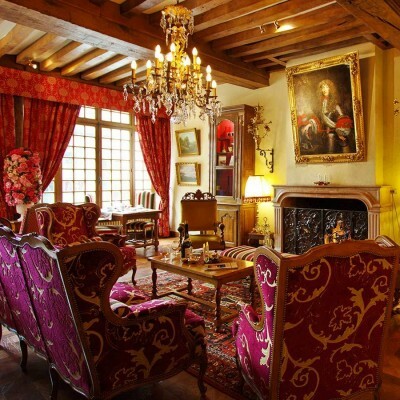 In the afternoon your route leads you on to the C16 Chateau du Clos de Vougeot before the final stretch through Vosne-Romanee (home of the world's most expensive wine), Chambolle-Musigny and Morey-Saint-Denis to your hotel, a lovingly restored former winery in Gevrey-Chambertin. Today, visit the ancient city of Dijon, just 8 minutes away by rail. Here see the Church of Notre Dame, the C12-C15 timbered houses, the cathedral with its 1,000-year-old crypt, and the Palace of the Dukes of Burgundy along with a host of museums and other sights. Leave the vines behind and cycle up through the Combe Lavaux - Jean Roland nature reserve to appreciate stunning views across meadows to the Ouche River valley. Then it's freewheeling all the way along quiet country lanes, past fields of wheat and rapeseed to Fleurey- Ouche and the famous Canal de Bourgogne. Here you'll experience gentle pedalling along towpaths and greenways between the canal and the peaceful River Ouche. Lunch can be enjoyed with a picnic by the water's edge in any number of sleepy riverside villages, at a cafe-restaurant in a former lockkeeper's cottage, or even before or after a visit to the Chateau de Barbirey with its superb gardens. The ride ends at the C18 Chateau Sainte-Sabine, where you can stroll in the gardens then sit on the terrace savouring an aperitif before dinner. Today's route is a lovely circular ride taking in two famous Burgundy chateaux. The first is the Chateau de Chateauneuf in the incredible mediaeval village of Chateauneuf-en-Auxois. Clearly visible from the hotel in Sainte-Sabine, Chateauneuf-en-Auxois is perched high on the hilltop with its C15 fortress and C12 keep. Then, cycling down country lanes, you come to the village of Commarin with its magnificent moated chateau, a site of importance since the early C13. Pass countryside and quiet farming villages to the ancient town of Bligny-sur-Ouche with its C12 church, C15 tower and twelve water mills. After crossing the River Ouche, a short climb leads you to Montceau-et-Echarnant, next to which lies the tiny Templar church of Saint John the Baptist, where the ground is paved with the gravestones of Templar Knights. From here it's downhill through meadows and woodland to the village of Nantoux, and then back out into the vines. The adventurous can take one last climb to enjoy spectacular views from the Hautes-Cotes de Beaune but both roads lead back to delightful Pommard where final wine tastings can be had at the chateau before heading back to the hotel along vineyard tracks for your final gastronomic meal at a Michelin-starred restaurant. 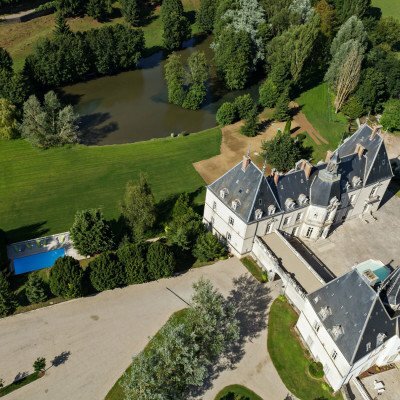 The simply stunning C17 Chateau de Sainte Sabine, built on the site of an ancient monastery, was painstakingly renovated in 2012 by owners Susanne and Jean-Louis Bottigliero. 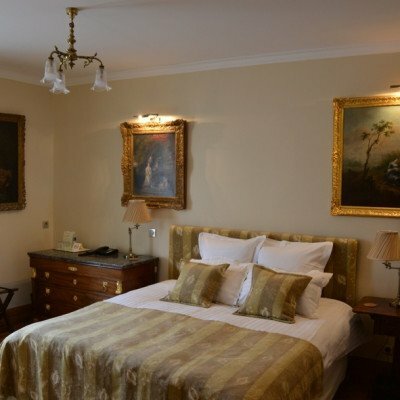 The chateau's rooms offer a distinct blend of modern and period decor, combining well with other features of the hotel such as the well appointed bar and the superb gastronomic restaurant with panoramic views. There is also a swimming pool for guests to enjoy amid a natural setting featuring a small lake and eight hectares of carefully tended grounds. From the chateau, there is an unbroken view of the village of Chateauneuf-en-Auxois, one of the select group of 'the most beautiful villages in France', and the surrounding countryside. 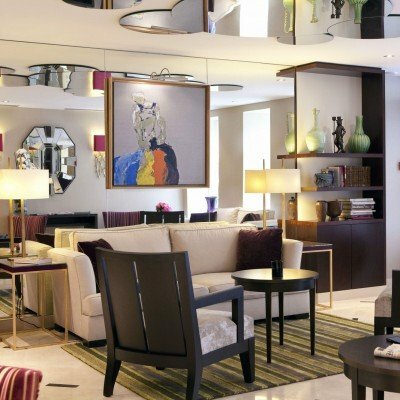 The Luxe rooms are more spacious with a separate lounge area.